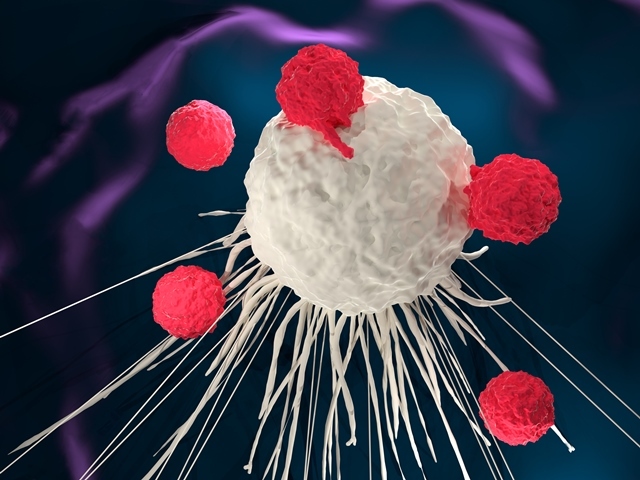 A technique designed to spot differences between immune cells in tumours could speed the development of cancer treatments, say researchers at the University of Edinburgh. It could help target the use of immunotherapy – a new form of treatment that uses the body’s own defences to tackle cancer. This therapy has shown great promise in recent years but identifying which patients will respond best is a challenge for doctors. The new approach – based on gene analysis – makes it easier to spot the range of immune cells present in a tumour. Researchers at the University analysed genes from anonymised medical databases of thousands of tumours to identify genes associated with immune cells. They say that this resource – called ImSig – paints the best picture of tumours to date and will allow scientists to study how certain immune cell types affect cancer growth. The study, published in Cancer Immunology Research, was funded by the Biotechnology and Biological Sciences Research Council. Professor Tom Freeman, Roslin Institute, University of Edinburgh, said: “Our approach, which helps us to find out exactly what cells make up a tumour is like deciphering which fruits went into making a smoothie.